Go ahead. Click it for the larger version. 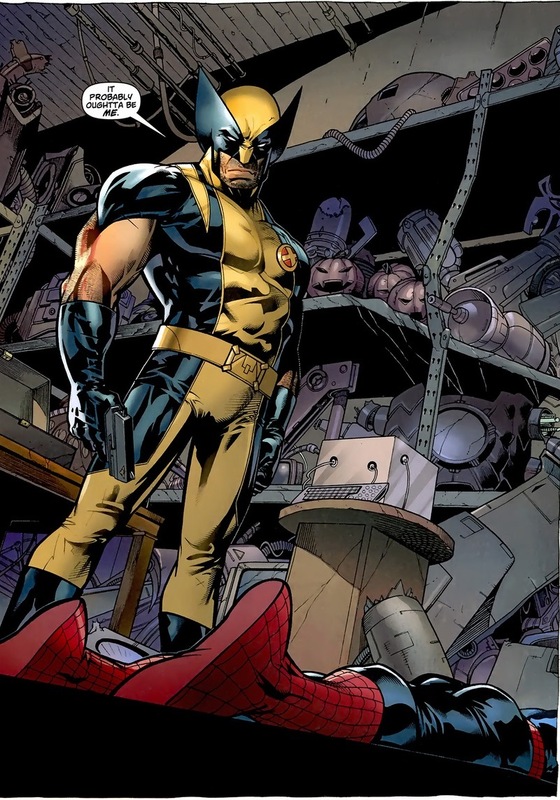 That’s no fan art, my dear readers — that’s a page from Astonishing Spider-Man & Wolverine. And the second my eyes laid upon this beautiful piece of art, like a raccoon stumbling upon an overturned trash can, I had to find out the beginning and end of this gorgeous page. 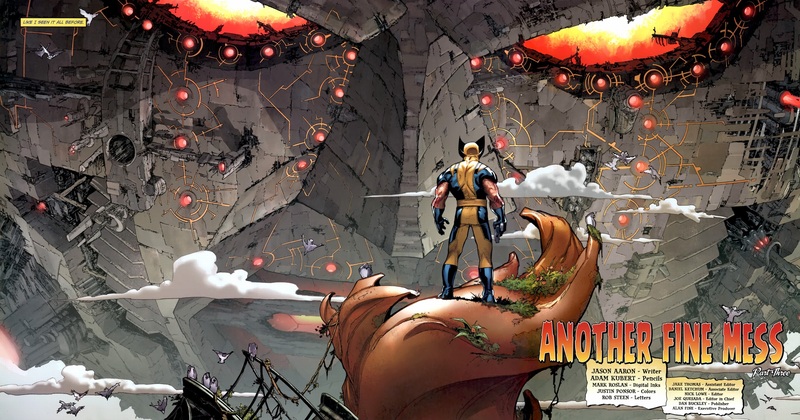 Wolverine versus Planet Doom, the living planet? Hell yes. 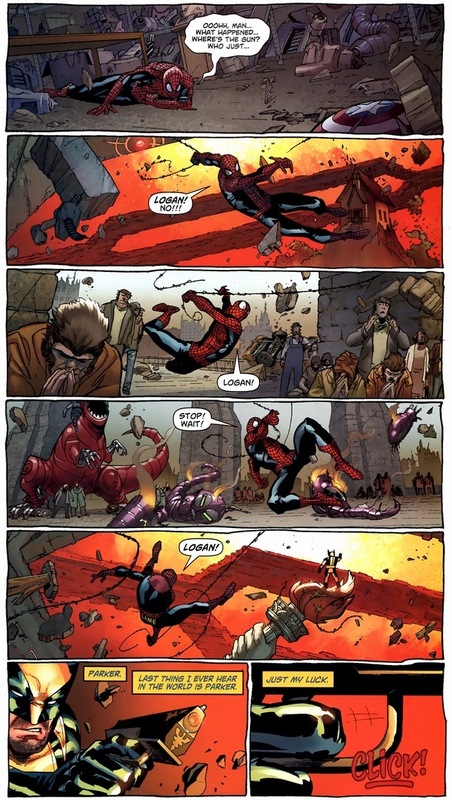 So, enjoy a few scenes from Astonishing Spider-Man & Wolverine #2-3, written by genius Jason Aaron and drawn by genius Adam Kubert. At the beginning of the miniseries, the two buddies get lost in time/worlds/dimensions. Those kinds of stories tend to go over my head, but as of now, the two have spent a few months living on a world full of apes. 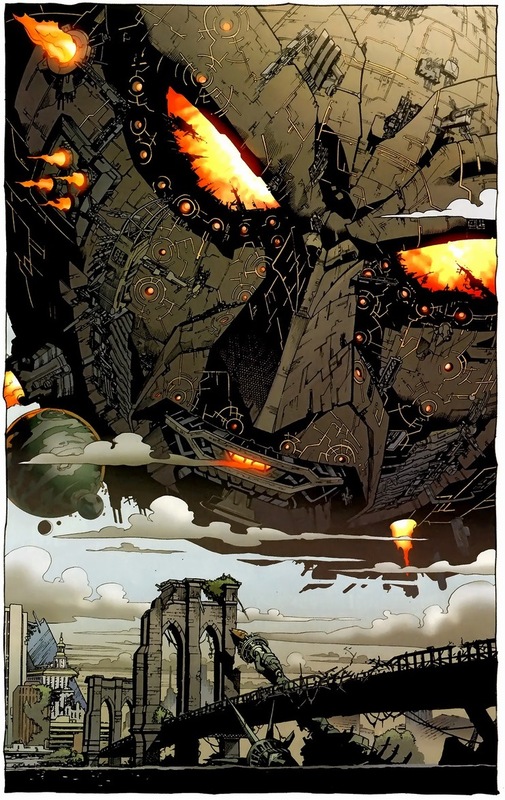 Unfortunately, as you saw, Planet Doom approaches. 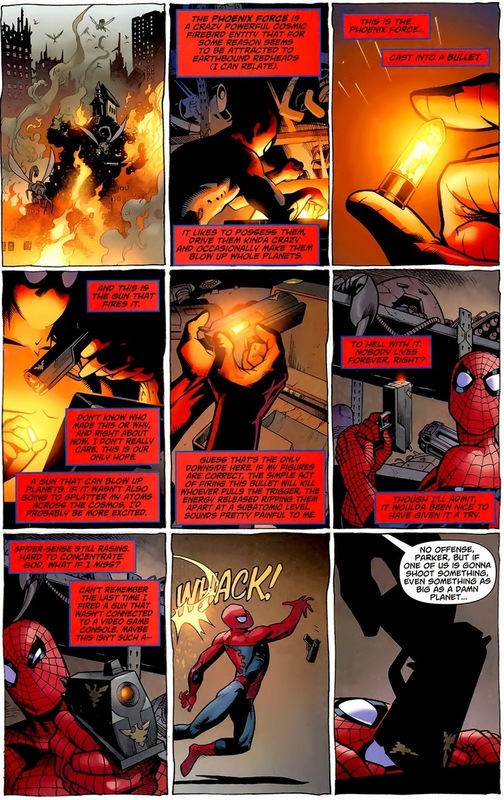 Luckily, Peter Parker’s a brilliant scientist. 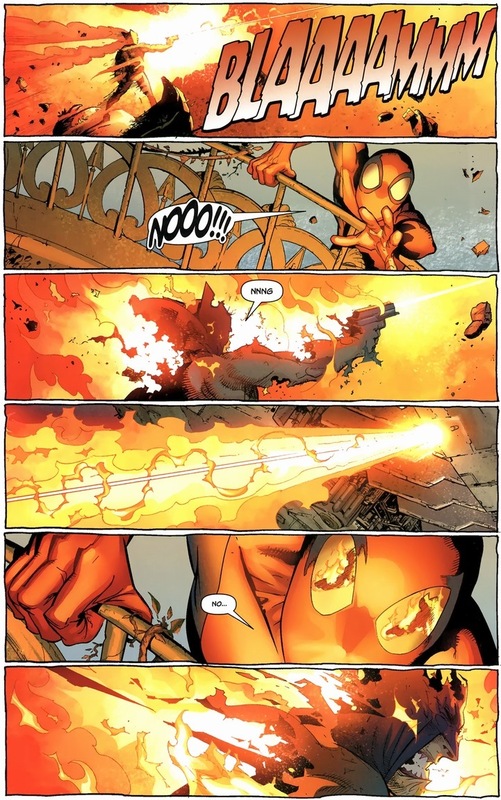 You think superhero-ing involves busting a few muggers or stopping a bank robbery now and then, but in the comic book world, world-destroyers show up far more often than initially believed. 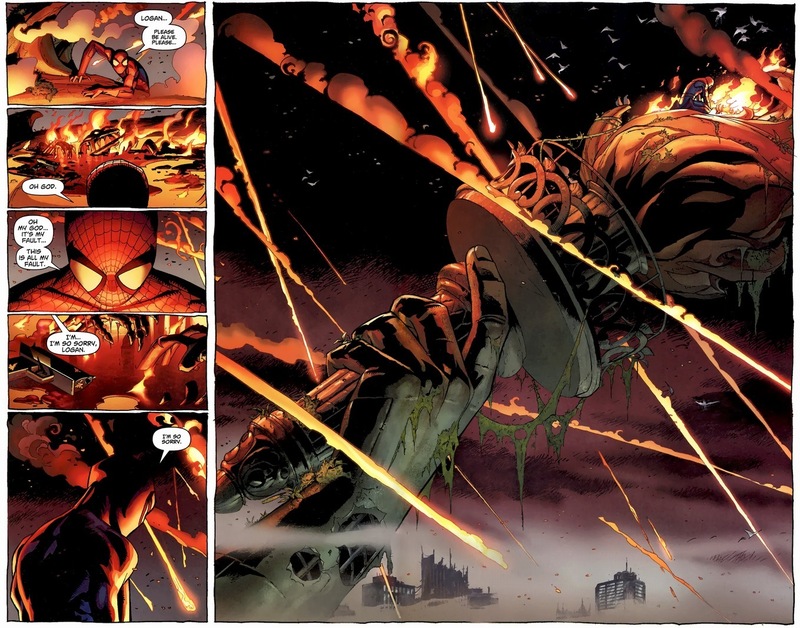 While Spider-Man can totally take on charging dudes in rhino suits and old men with wings, Galactus-level threats are out of his skillset. 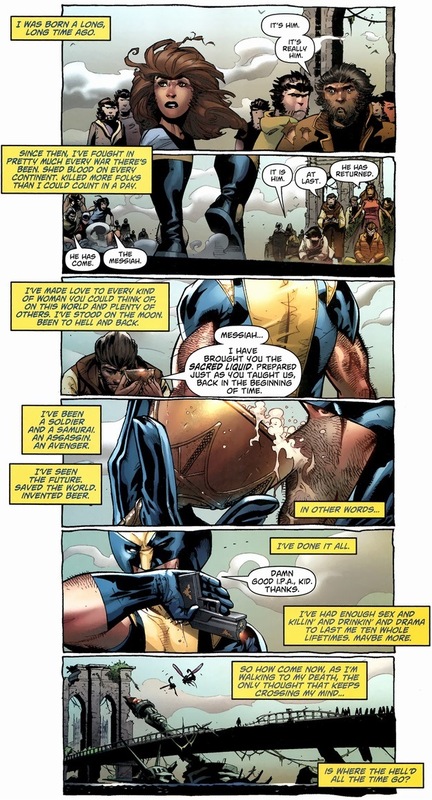 To be fair, Wolverine’s too. 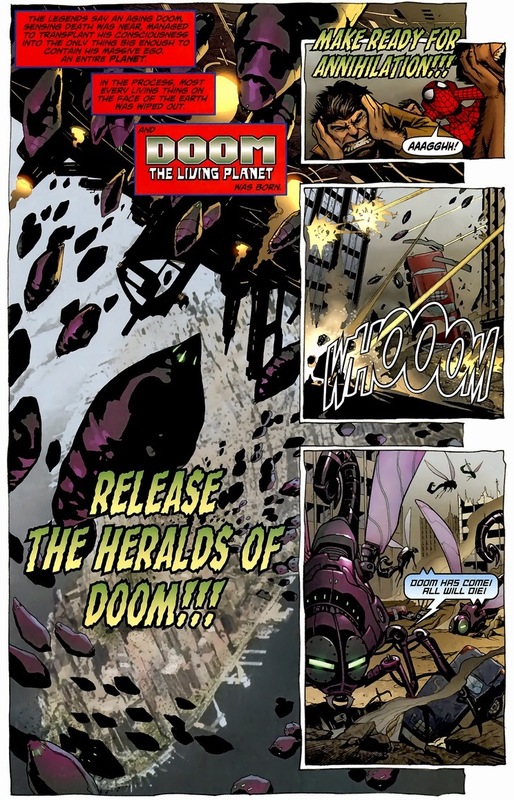 To destroy a Galactus-level threat, a Galactus-level weapon’ll be needed. 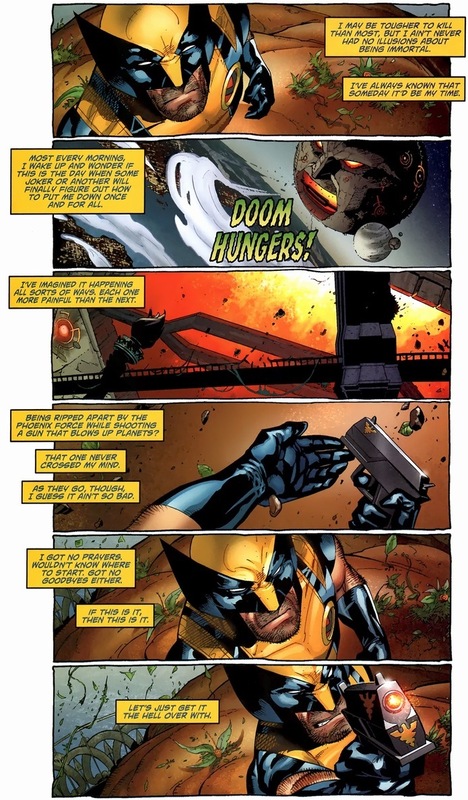 While I wouldn’t mind a six-page spread of Wolverine clawing and slashing a planet to ribbons, a Phoenix Force gun remains just as dramatic. It’s essentially a bullet that shoots nuclear bombs, if nuclear bombs possessed a power to kill billions of people across thousands of planets. 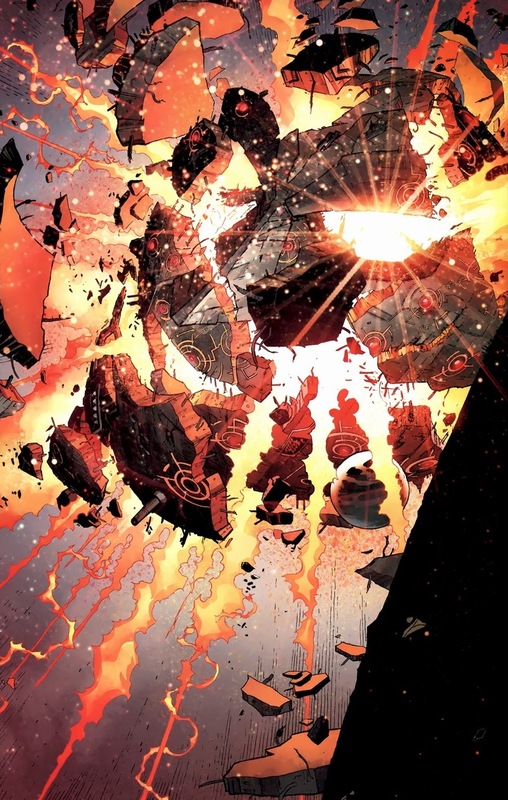 Y’know, whenever world-destroyers show up in comics, like the Phoenix Force or Galactus, we’re always treated to them annihilating a world or two first so we know their power. Builds suspense and creates higher stakes. Yet the Fantastic Four or the X-Men have singlehandedly take down these extreme threats. 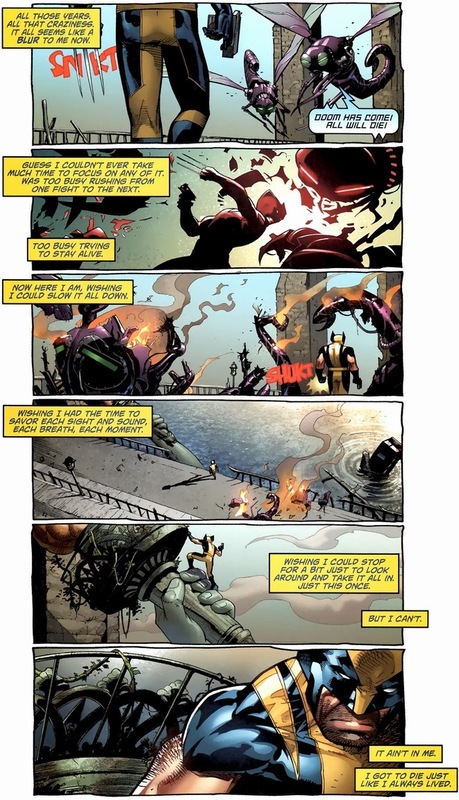 I’m not saying other species on other planets are wildly weak, but when the Skrull or Kree empires try to conquer Earth, how are they not barraged with volumes of stories about the twelve or so superheroes that took down the universe’s biggest threats. And that doesn’t even include a newer roster filled with the actual god of Thunder or man with the power of literally a million suns. Is it pride that drives these aliens’ greed? Bragging rights? A simple love for competition? Oh yeah, Wolverine versus Planet Doom. 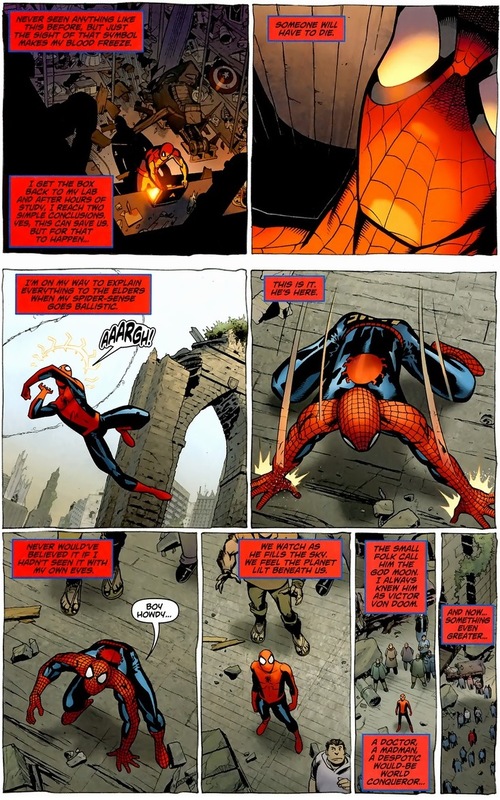 Spider-Man mourns, because while the two don’t enjoy each other’s company, it’s going to be hard for Spider-Man to explain to the superheroes back home that Wolverine disintegrated himself on a monkey planet against an evil moon-like object. Three and half issues to go, readers. Go pick this miniseries up, if only because you’ll get to see Peter Parker with a full beard. Yessir, based on a joke earlier in the second issue.